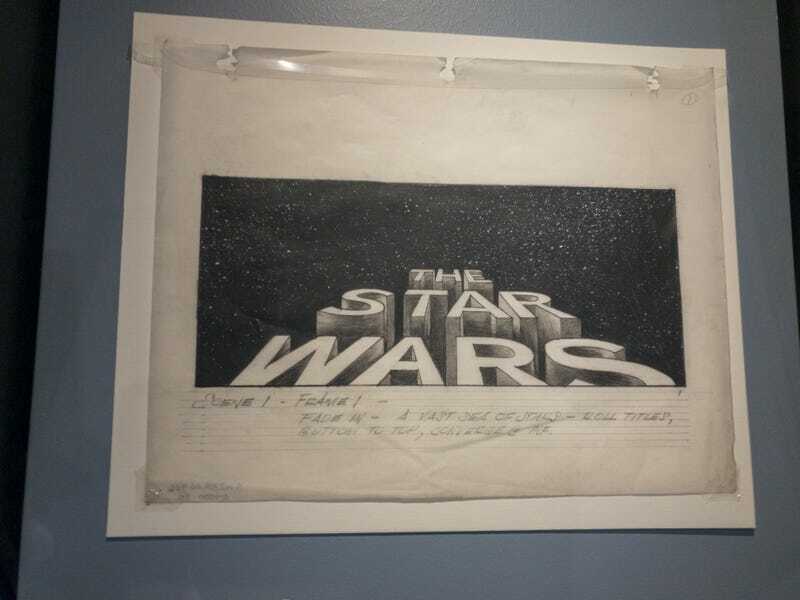 We paid a visit to the Star Wars and the Power of the Costume traveling Smithsonian exhibit on Sunday. It was the last day it was here. We would have gone sooner, but every time plans were made, something would come up. In a strangely ironic way, it seemed fitting to go on Easter Sunday. The next (and final?) stop for this exhibit is in Detroit. If you like Star Wars (and if you don’t, what’s wrong with you? ), go see this in person. It’s super cool. There were some things that were missing that one would assume might be part of something like this. But, one might also assume that things like Luke’s first lightsaber and the OG Darth Vader costume aren’t going to travel anywhere, ya know? I really love Star Wars, more so than most people; but I don’t go full-on obsessive about it. I have seen every Star Wars movie in the theatre during each film’s original run. The only thing that’s been in my life longer than Star Wars are my parents. It was a really ‘effing cool thing to see these things in person. I was quietly freaking out the whole time. I just took a bunch of pics with my iPhone, so don’t expect any good photography here, just fanboy pics. These are the highlights. Up close, you can see all the exposed elastic straps that hold everything together. It’s a wonder these things held together during filming. This is probably my favorite costume in all of Star Wars. These last four are of what I thought was the best thing in the exhibit. There were many concept drawing of characters in the exhibit, but this one was really amazing to see. I would buy a framed print of this for every room in my house.